Like many of cinema’s great directors, Tim Burton has long showcased himself to be one of the most unique and talented voices behind the camera, always ready to display his distinct style; with Dumbo, a live-action adaptation of the early Disney animated classic from 1941, Burton is once more fully exhibiting that signature look with a visually dazzling, yet emotionally uneven excursion to the Big Top. Filled with so much of what has characterized much of Burton’s filmography (including fantasy, misunderstood characters, darkness, and quirkiness), Dumbo very much has the director’s fingerprints all over it; for the most part it succeeds with its thrilling and wonderful assortment of strange yet loveable protagonists, landscapes and fantastical imagery. 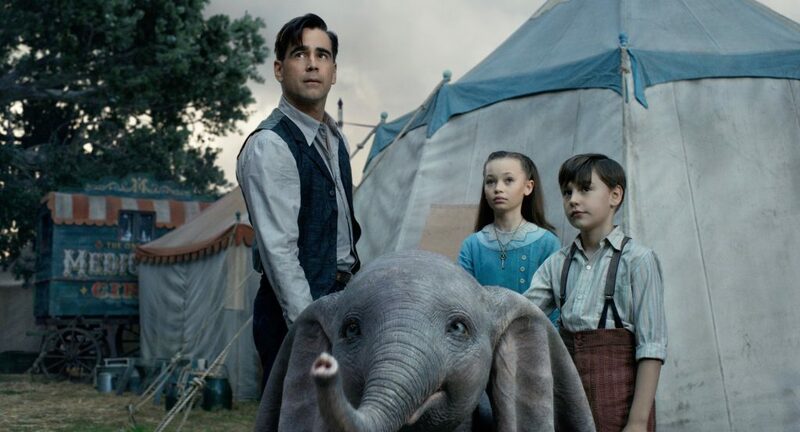 But unlike some of Tim Burton’s best-known films like Beetlejuice, Ed Wood or Big Fish, Dumbo doesn’t quite soar as it should on an emotional level. As a result, it may be seen as somewhat disappointing for some viewers, given the special place the animated film and its tender story about a ridiculed pachyderm has had in so many hearts. Ultimately while this new version of Dumbo does certainly have heartwarming moments, it would seem that more attention has been paid to the razzle-dazzle of Dumbo’s world, rather than the characters at the center of its story. As with the animated original, Dumbo tells the tale of a young elephant born with enormous ears; initially ridiculed and labeled as a freak of nature, it is not until his ability to use those ears to fly reveals itself that baby Dumbo suddenly becomes the star of the circus show. The cartoon is noticeably short with a runtime of just 63 minutes (short even for early Disney standards), and so Burton’s version of 112 minutes is obviously lengthening this story. However this version of Dumbo does not drag or seem to be unnaturally extending its presence, and it, in fact, is long enough to develop its story, but also short enough to keep us from getting fatigued. While the animated film may be a classic it could have benefited from being even just 20 minutes longer, and so this live-action adaptation does do one thing certainly better and that is have a satisfying length. But unfortunately, while there is more screen time to develop characters, little is done of the extra time to actually create lasting and compelling figures, with the exception of the titular elephant. Melding great effects with a great narrative can produce some of the very best movies (recent examples include the rebooted Planet of the Apes and Wonder Woman), but often times we see just the opposite; a movie like Dunkirk, for instance, was a thrilling technical achievement but lacked an emotional hook. In Dumbo, we get an assortment of intriguing characters, with occasionally compelling stories, but we never develop a deep attachment to any of them, even our two main lead humans. Set in a circus we see the typical motley crowd of performers (the strong man, the snake charmer, the contortionist) but they serve more to populate the screen than actually make lasting connections with the audience. 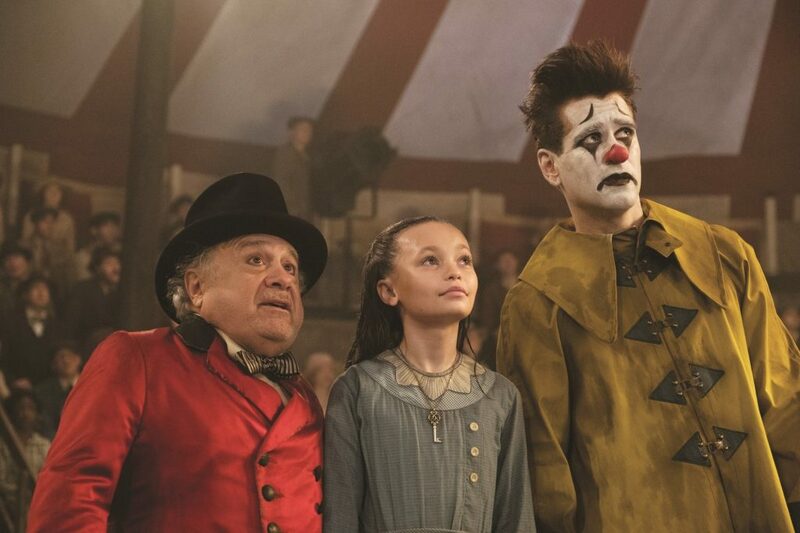 Ringmaster and circus owner Medici (Danny DeVito) is easily the most enjoyable to watch, but beyond a few instances, is like the rest of the characters not really fleshed out or memorable. Michael Keaton’s V.A. Vandevere, a cutthroat businessman, shows glimpses of a greater villain but is, in the end, a cliché personification (complete with henchmen); but perhaps most noticeably lacking in emotional depth are the two children and their father (Colin Farrell), who are the first to show sympathy and love for Dumbo. A pair of kids who have grown up in the traveling troupe, and a dad who has just returned from the front lines of the First World War, have the makings of quite the interesting characters, and yet are conspicuously dull, in spite of commendable performances. There are attempts at providing a sad exposition for the trio, but we never truly do identify with them on a deeper level. 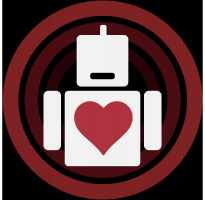 Screenwriter Ehren Kruger, known mostly for his work on the Transformers series, shows that while he may generally get the gist of how to tell a moving human story, his understanding still remains at a superficial level. It is thankfully Dumbo himself, that provides much of this story’s heart; scenes of the young elephant with his mother are indeed tender and sweet, and their separation and reunions will certainly make some eyes tear up. Innocent and playful, while also determined and brave, Dumbo is a charmingly wonderful hero that like many of Tim Burton’s outcasts, has despite his physical flaws, the biggest heart of all. With impressive CG animation, Dumbo, his mother, and all the animals on screen are recreated with an attention to detail and a commitment to realism (despite the obvious fantastical nature of the story). While we clearly know Dumbo and his fellow circus animals have been animated, it is easy to sit back and believe that these are indeed real creatures; and when Dumbo flies to the amazement of the circus patrons, we too cheer and smile at the sight. And it is this visual appeal that prevents Dumbo from crashing because even if we may not be fully invested in the human characters, at the very least we are fully immersed in the eccentric, colorful and dark world of the circus, as painted by Tim Burton. Filled to the brim with exciting imagery, set pieces, and eye-grabbing costumes, the movie has done an excellent job of presenting all the glitz and glamour of a now nearly extinct institution, as well as its dark spots. While not overtly stating it, Dumbo at times provides a commentary on the status of animal welfare and whether or not any animals should be held in captivity. So, Dumbo may falter a bit in its narrative punch, and it will likely not be immortalized like the 1941 film, but notwithstanding an uneven emotional allure, Tim Burton has made a visually rewarding movie outing, with a production value of great quality. With his singular cinematic palette, Burton has again created a beautiful optical spectacle, that should be more than enough to recommend for the young and old. The Shape of Water delivers a timeless message accentuated by a master filmmaker at the height of his powers.